Unemployment: Why Won’t Congress Talk About It!? An interesting look at the unemployment rate. “What is currently a temporary long-term unemployment problem runs the risk of morphing into a permanent and costly increase in the unemployment rate” unless Congress takes action to create jobs. Even though the economy is improving, we need to do more to ensure the long term unemployed get back on their feet. Long term unemployment makes it harder and harder to provide for one’s family, and causes dramatic increases in mental illness. It’s time Washington gets busy putting people back to work. This article was originally posted by ChangeToWin on January 11, 2013. Reprinted with Permission. About the Author: Change to Win is an organization created by over 5.5 million workers – if corporations can join together to hire an army of lobbyists, working and middle class Americans must also band together and restore balance by making sure we have a strong voice and a seat at the table again. Construction workers and others in the Austin, Texas, area are celebrating a coalition victory this week after Travis County commissioners approved a first-ever economic development policy that includes a living wage requirement. The policy requires contractors asking for tax incentives to move into the county to pay all employees at least $11 per hour. It’s a significant improvement over the prevailing construction hourly wage of $7.50. On the same day the county provision passed, a subcommittee of the Austin City Council passed a similar policy, which will come to the full council in the coming months. As reported in the Austin American-Statesman, both the city and county have been criticized about generous tax incentives offered in recent years to major companies such as Apple and Marriott. Along with faith-based and student organizations, the Texas Building and Construction Trades Council, the Laborers (LIUNA), the Electrical Workers (IBEW), AFSCME Local 1624, Education Austin (AFT) and Texas State Employees Union (TSEU)/CWA Local 6186 participated in the yearlong campaign spearheaded by the Austin-based Workers Defense Project (WDP). The 1,000-member WDP has worked for 10 years on wage theft and other workers’ rights issues. Austin Interfaith and United Students Against Sweatshops (USAS) were among others that supported the campaign. “Really, what this means is construction workers are starting to have a say in their working conditions and their pay,” WDP organizer Greg Casar told a celebratory crowd after the county commissioners voted. 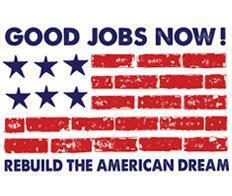 This post was originally posted on November 30, 2012 at AFL-CIO NOW. Reprinted with Permission. About the Author: Barbara Doherty: My dad drove a laundry delivery truck in San Francisco and I came to appreciate unions sitting in the waiting room at the Teamsters vision center there. More than 30 years ago, I joined the international SEIU publications staff (under the union’s legendary, feisty president, George Hardy). Living in California, Massachusetts and Washington, D.C., over the years, I have contributed countless news and feature articles, as well as editing, to the publications and websites of unions in the public and private sectors and the construction trades. I read an article about a school in Washington State that allows students to search the Internet during tests. Yes, you read that correctly. Students at Mill Creek Middle School can go online during tests to search for information. But some schools don’t stop there; they even allow students to beam or IM information to other students during a test. Beyond wishing that we had such tools when we were in middle school, this raises a great question about the essence of education. Is the goal to cram information in our heads, or should the goal be the know how to get the information that you need? Let’s not forget that a student can burn a lot of time searching for information on the web. Or information that is beamed to them by a fellow student could be wrong. Rather than seeing this sharing of information as cheating, I believe that it is creating a generation of students who are more discerning about information—where to get it, how to evaluate it and how to use it. What does this have to do with business? Plenty. As more of us find our interactions with coworkers limited to three sentence emails, we are rapidly moving from organizations with many brains to constellations of individuals who are increasingly flying by the seat of their pants as they go through their work day. Think about it. When was the last time that you brainstormed with a colleague over coffee or lunch? When was the last time that you networked or checked in with a colleague that you hadn’t seen in a while? Heck, when was the last time you didn’t eat lunch at your desk? Technology was supposed to bring us all together. Yet, the connections between people are at an all time low. Organizations talk a great deal about team work. That people are the greatest asset. Yet, when it comes to paying people, recognition and priorities, it’s all about individual effort. Great teamwork isn’t cheating. But to achieve it organizations need to do a much better job of cultivating it, rewarding it and encouraging it. Wouldn’t it be amazing if our organizations truly became the sum of their parts? 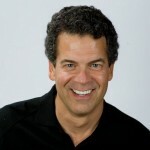 About the Author: Bob Rosner is a best-selling author and award-winning journalist. For free job and work advice, check out the award-winning workplace911.com. Also check out his newly revised best-seller “The Boss’s Survival Guide.” If you have a question for Bob, contact him via bob@workplace911.com. You are currently browsing the archives for the teamwork category.